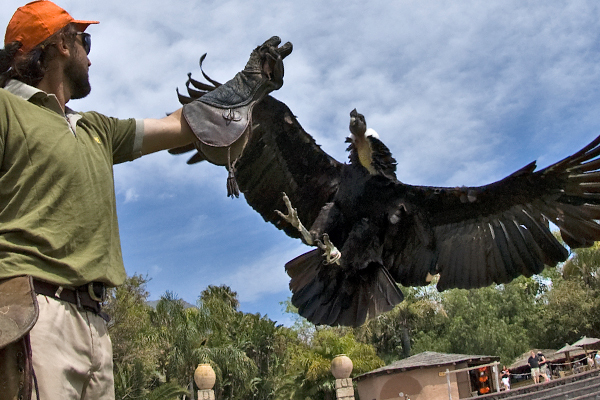 If what you want is to feel the adrenaline flowing at high speed through your veins, you can now enjoy one of the world’s best bird of prey shows twice every day. This show will enable you to witness a broad variety of birds in free flight from a very short distance. Indeed, we will observe them flying only a few centimetres over our heads, hopping, playing about, and even walking. 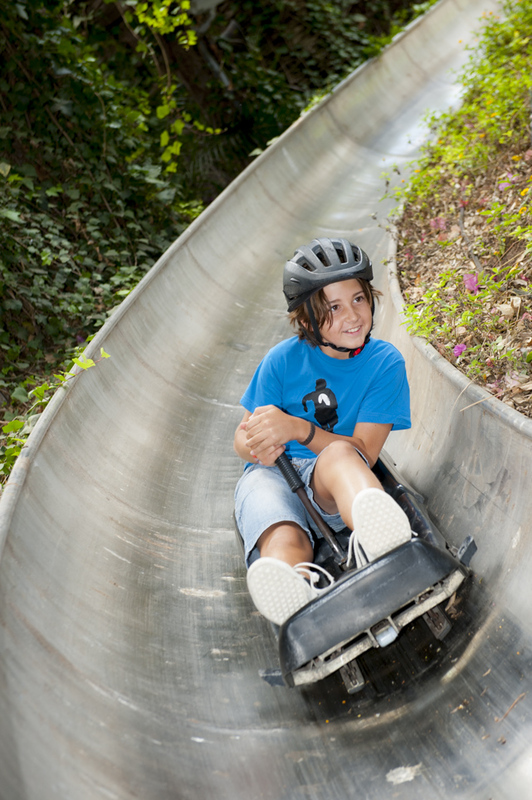 Keep your eyes wide open, so your retinas can record these amazing displays of pure power and speed. Don’t miss the flight of the eagles over our heads, sometimes so high in the sky that the eye can’t detect them. Intelligent parrots, macaws, talking parrots, hornbills, and others will delight you will their vast array of skills either on the ground or in full flight, or interacting with people. 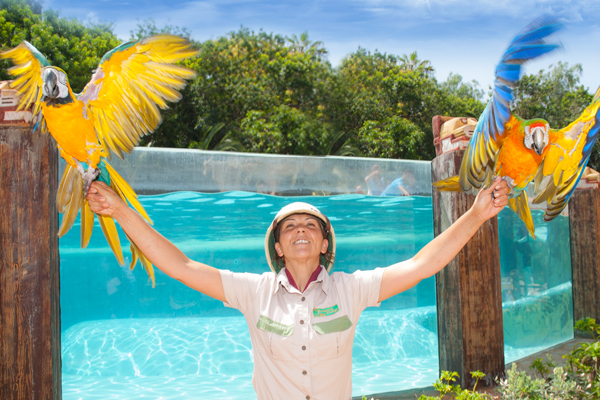 The power, strength, and speed of the birds of prey find its right counterbalance on the multi-coloured explosion of our three free flight and pirouette shows featuring a broad range of exotic birds. You’ll be amazed by their skills. 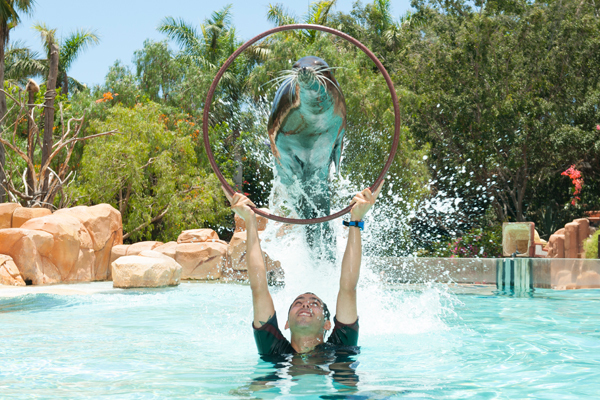 You will fall in love with with our sea lion family Bruno, Casper, Julia, Bimba, Cookie, Alysa, xana and Perla when they show you this exhibition full of harmony and interaction with the public Enjoy this new and incredible show with the sea lions. 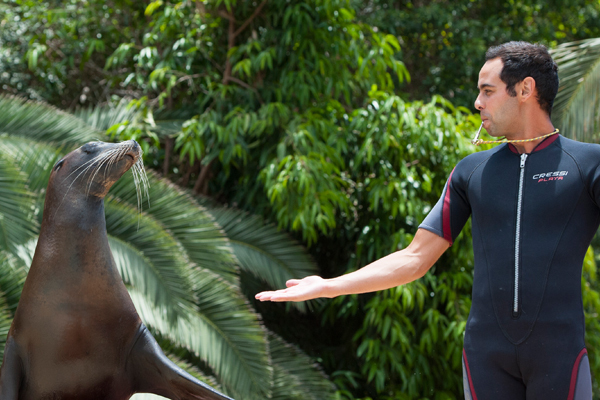 There are 6 females and 2 male sea lions and they will delight you, showing you how capable they are. They love to show their skills in a great spectacle, helped buy our specialised trainers and the facilities here in the park.